Sometimes, the greatest gift you can give to a Mother is PEACE of MIND. In order for me to relax at the end of the day, on vacation, or at someone else's house, I have to know that all my children are safe and sound in bed, sleeping and in bed. Motorola is here to give Moms peace of mind this Mother's Day with their latest model of baby monitor, the MBP854CONNECT. 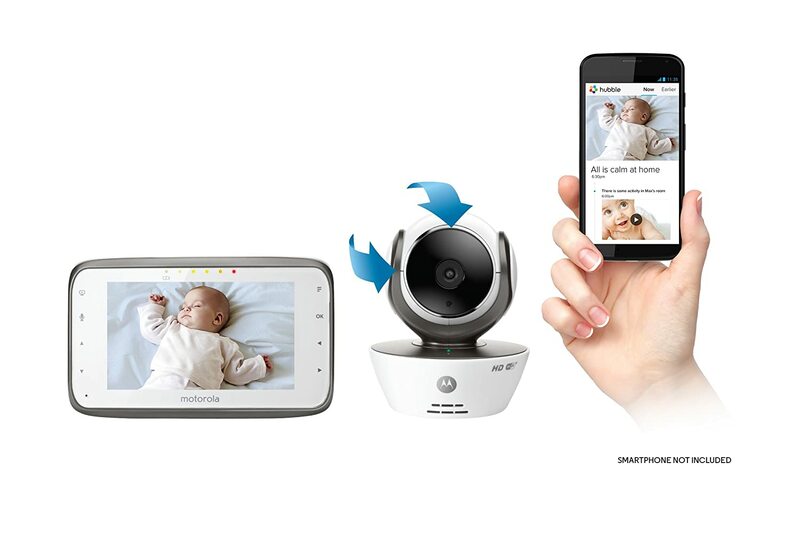 The mbp854connect is a remote wireless baby monitor by Motorola that enables you to always keep an eye on things both while at home on the parent unit and away on compatible smartphones, tablets and computers. The crystal clear two-way communication feature allows you to communicate without being in the same room. The free Hubble app on your compatible viewing device allows you to receive sound, motion and temperature notifications remotely, so you can be sure to always stay connected to what's going on. 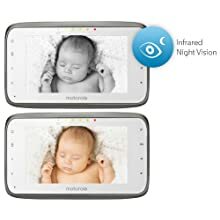 This video monitor parent unit showcases a very large 4.3" full color LCD screen, remote pan, tilt, and zoom functionality and infrared night vision for keeping an eye on your little one in very low light levels. With Motorola's mbp854connect you're free to watch them dream from anywhere. What sets it apart from the others is how you can monitor your child remotely using the free Hubble app on compatible smartphones, tablets, and computers. Receive sound and motion notifications to your compatible viewing device so you're sure to always stay connected to what's going on with your baby. And the convenient room temperature display and notifications let you know when baby's room gets too hot or too cold, while at home or on the go. Plus, you can easily control it remotely to pan, tilt, and zoom the video image as needed. In addition, you can calm your little one with the sound of your choice of 5 soothing polyphonic lullabies. And you can always make sure your baby is comfortable temperature-wise because the MBP854CONNECT is equipped with a room temperature display, so that you can ensure that it never gets too hot or too cold for your little one. Infrared night vision helps keep you connected with what's going on in your baby's room without any lights to disturb little sleepers. 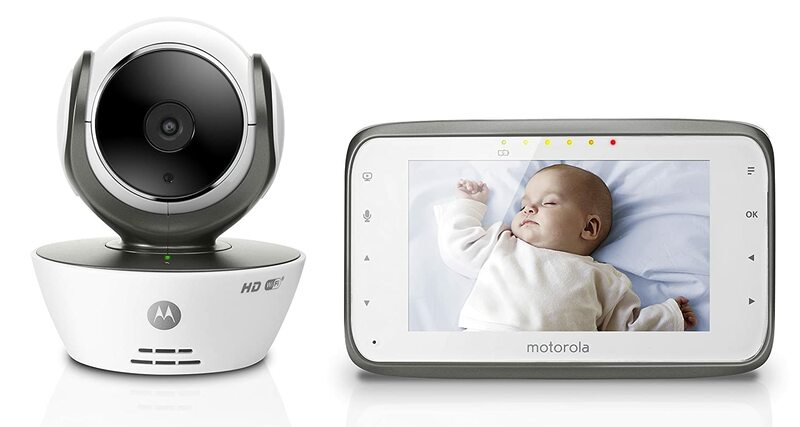 The Motorola MBP584CONNECT is a wireless video baby monitor that will help you to keep up with your day-to-day tasks, while keeping a watchful eye on your baby!